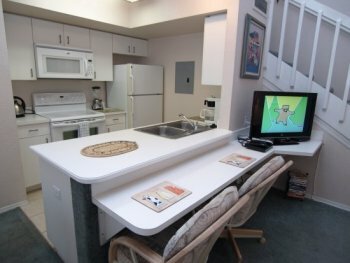 Spacious 2 and 3 bedroom Orlando vacation Townhomes at Mango Key Resort complex near Disney. 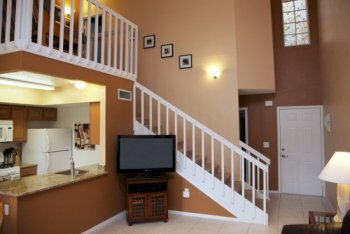 Mango Key Townhome resort enjoys a quiet, peaceful location in the popular Lindfields subdivision less than 5 miles from Disney and is close to all the other major attractions. 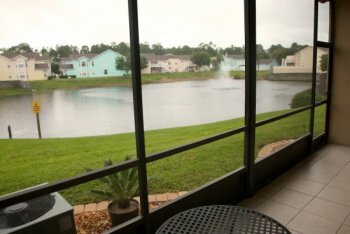 Driving time to Disney is approximately 10 minutes so it is easy to pop back to the Orlando Townhomes for a refreshing afternoon dip in the large outdoor pool and a change of clothes prior to returning to Disney for the evening. 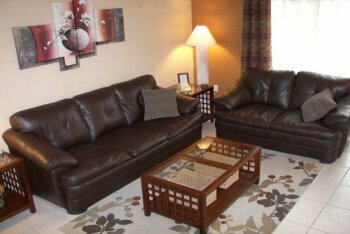 Here you can rent a spacious 2 or 3 bedroom town home for around the price of a mid-range hotel room. Lindfields is situated west of Disney just off Highway 192 which houses many shops, supermarkets, petrol stations and over 250 restaurants catering for every taste and pocket. There is a Publix supermarket within 5 minutes drive. 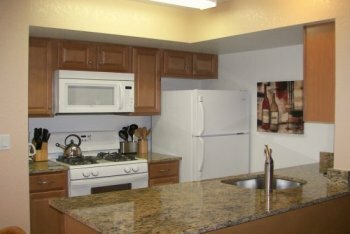 Mango Key is a small friendly resort consisting of only 33 units so you can be sure that your townhome will be located only a short distance from the pool area. 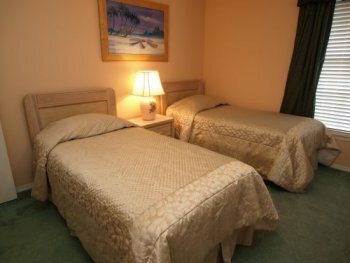 With many guests visiting the attractions most days it's not unusual for you to find you have the whole pool area to yourselves! 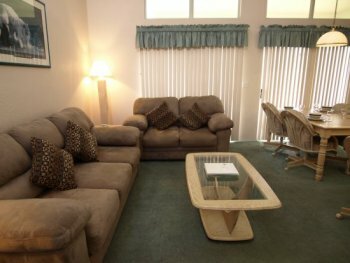 The vacation townhomes are all individually owned and interior decor varies according to the homeowners personal tastes but you can expect either two or three bedrooms and two bathrooms along with a fully fitted kitchen and lounge / dining area with sliding patio door leading to a screened porch area.